Ashley's love of exercise and movement began at an early age. She realized the importance of an active lifestyle and sharing that with others has become her passion. Ashley helps her clients recognize their values and how fitness can help them achieve their goals and live the life they dream of. One of Ashley's areas of focus is with women and body image. 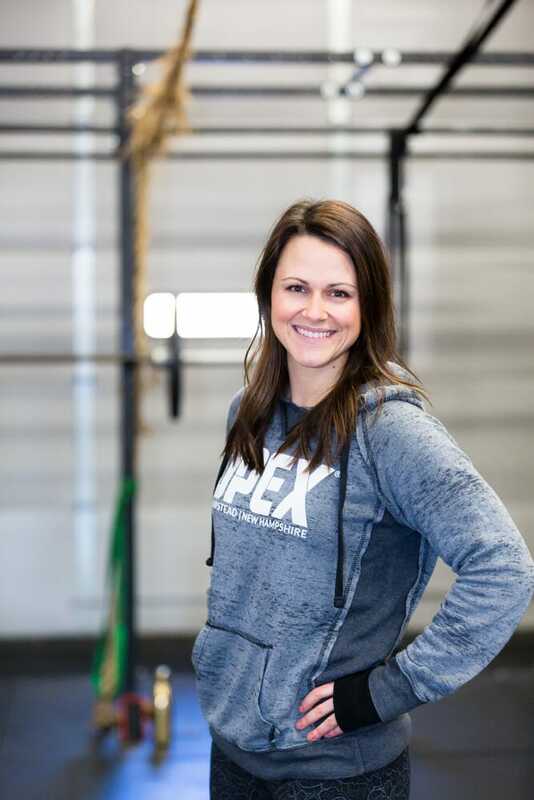 She uses her personal and professional experience and knowledge to help her clients find a balance with nutrition and exercise that works for their lifestyle. If she's not at OPEX Hampstead, you can find Ashley hiking and camping in the white mountains with her husband Jameson and her dog, Chip. Ashley also enjoys good coffee, writing, and being with family. Ashley studied health and human performance at Plymouth State University (BS, 2008) and went on for her masters degree in public health at Oregon State University (MPH, 2011).